Friday, April 5th – Sunday, 7th, 2019. This three-day conference for psychiatrists and other mental health professionals will integrate recent scientific data with current clinical practice regarding positive psychology, preventative psychiatry, and opioid use disorders. In addition, attendees will learn about emerging technologies and strategies in the delivery of psychiatric care as well as "how Big Pharma thinks." Psychiatry residents are invited once again to participate in case presentations as well as poster sessions. We are having our annual Residents’ Social & Mentoring at the Annual Meeting. This is an opportunity for Residents from all over Central California to get together and network with other RFMs as well as learn from practicing psychiatrists from different settings. Each RFM is eligible for one night accommodations in a standard room at the Tenaya Lodge or two nights accommodations in a standard room if two RFM’s shared a room for both nights. For information on this please contact Chris Stockton at (888) 234-1613. 7:15pm – 9:15pm Movie & Discussion - "Won't You Be My Neighbor?" 3:00pm – 4:15pm Opioid Use Disorder (OUD) Treatment: Dramatic Need, Available Tools, Advancing Practices: Why Does Access Remain Inadequate? Support this great event and become a sponsor today. For more information on the various sponsorship opportunities and benefits available, please CLICK HERE. Gain exposure to our highly motivated physicians and residents from California and neighboring states. For more information on the various exhibitor opportunities and benefits available, please CLICK HERE. Dr. Buckelew is a Professor of Adolescent and Young Adult Medicine specialist in the Department of Pediatrics at the University of California, San Francisco. She is the Medical Director of the Adolescent and Young Adult Eating Disorder Program at UCSF, runs a satellite eating disorder clinic in Pleasanton and attends on the inpatient service at Benioff Children’s Hospital, San Francisco. Dr. Buckelew completed her Adolescent Medicine fellowship in 2007 at UCSF and her Pediatrics residency training at Children’s Hospital Los Angeles. In addition, Dr. Buckelew is involved in medical education, serving as the pediatric clerkship director and running the pediatric and psychiatry residency rotation in adolescent medicine. She was awarded a 2018 Excellence in Teaching Award through UCSF’s Academy of Medical Educators. Dr. Fairman is an Associate Clinical Professor in the Department of Psychiatry and Behavioral Sciences at the UC Davis School of Medicine. Dr. Fairman’s clinical expertise lies at the interface of palliative medicine, psychiatry and bioethics – and he is board certified in both General Psychiatry and Hospice and Palliative Medicine. He serves as Director of Supportive Oncology and Survivorship at the UC Davis Comprehensive Cancer Center. In addition, he is the Director of the UC Davis’ End of Life Option Act Program. His clinical service includes work as an attending physician on the inpatient palliative care consult service at the UC Davis Medical Center and in the psycho-oncology clinic at the UC Davis Comprehensive Cancer Center. As a Faculty Associate in the Bioethics Program, Dr. Fairman directs bioethics education in the UC Davis School of Medicine. Dr. Fairman also maintains a variety of teaching responsibilities throughout the health system, focused primarily on palliative care, serious illness communication and bioethics. Dr. Fairman received his bachelor’s degree from Swarthmore College, where he was a National McCabe Scholar. He obtained his medical degree from the UC Davis School of Medicine, followed by a master’s degree in public health from Harvard University, where he was a Zuckerman Fellow. He completed residency training in general psychiatry at UC Davis. Prior to joining the academic faculty, Dr. Fairman was a fellow in palliative care psychiatry at The Institute for Palliative Medicine at San Diego Hospice. Dr. Giroux is a general adult psychiatrist and Associate Clinical Professor at UC Davis Behavioral Health Clinic. With a colleague, Dr. Sciolla, she is the co-director of RESTART, a resilience-focused, mindfulness-based stress reduction program for survivors of trauma. Dr. Giroux has a strong interest in trauma, social justice and prevention of violence. She is also part of a community of practice in refugee trauma. She co-edited a textbook in geriatric psychiatry and she is the author of ten book chapters. She is the co-editor of a textbook with case studies in geriatric psychiatry. She also writes poetry and essays. She is an active member of the editorial board of Sierra Sacramento Valley Medicine and co-editor for Journal of Psychiatry Reform. She teaches on mood disorders and trauma and publishes The Cutting Edge, a monthly newsletter for residents about trauma. She also created The Lotus, a newsletter for the patients participating in the RESTART program. She gave trainings on trauma-informed care and wellness within our institution, in the community and in Canada. In 2018, she developed and co-edited an e-tool called RESPITE in collaboration with 3 other institutions in North America to promote wellness and prevent burnout among psychiatry residents. Dr Goklaney is a Distinguished Life Fellow of American Psychiatric Association for his lifelong commitment to his patients, profession, and legislative changes to enhance the quality of life for the patients and their families. He currently is the Medical Director of Advanced Medical Psychiatric Services, which provides psychiatric treatment, psychological testing, individual counseling, couple and family counseling. He also works at Omni Behavioral Health to serve the underprivileged patients in the community. He has been a psychiatrist for the last 33 years and has worked as an Assistant Clinical Professor at UCLA Westwood and at UCLA Kern Bakersfield, CA. He worked as a Medical Director for Good Samaritan Psychiatric Hospital and Bakersfield Behavioral Healthcare Hospital. He worked for Kern County Behavioral Health from 1996 to 2010. He served as a President of Central California Psychiatric Society, Assembly member of American Psychiatric Association. He served as a Behavioral Health Board Member for Kern County Behavioral Health from 2014 to 2016. During his tenure, he initiated Laura’s Law, Mental Health Court, Drug Court, and Crisis Intervention Team. All of these were initiatives were achieved by January 2016. He also has been very involved with NAMI Kern, CA NAMI, and NAMI National for advocacy and education for the patients and their families. Dr Goklaney has several recognitions for his community service. He is the recipient of CA NAMI Recovery Practitioner of the Year in 2011, Lifetime Achievement Award from Central California Psychiatric Society for his contribution for the advocacy for patients and the profession in 2015. He received Legislature Resolution by California State Assembly and Senate as a Physician of Kern County 2018 for his contribution to the community of Central California and Kern County. Most recently, on April 7, 2018, the Central California Psychiatric Society initiated an award under his name. “Ravi K Goklaney, MD Ambassador & Diplomacy Award” for his ability to resolve conflicts among peers and create unity to be effective in advocacy for our patients and profession. Dr Goklaney treats every patient like his family member and expects the same from every mental health professional. Randall Hagar is the lead legislative advocate for the CPA. He comes to the position from serving as California NAMI legislative director,family education trainer and board member prior to joining the CPA in 2003. Dr. Meeks trained at the Medical College of Georgia, Emory University, and UCSD, completing a residency in psychiatry with subsequent fellowship training in geriatric psychiatry. He has worked for the University of California San Diego, VA San Diego Health Care, and San Diego Naval Medical Center. He currently works in the VA Sacramento’s Addiction Recovery Treatment Service. Dr. Meeks recently obtained board certification with the American Board of Addiction Medicine. He has published many peer-reviewed articles and book chapters related to geriatric psychiatry, and more recently addiction medicine. Dr. Schwerin is a Child & Adolescent and Adult Psychiatrist in Private Practice in the Davis and Sacramento area. She specializes in treating Eating Disorders, and is certified in the Family Based Treatment modality (also known as the Maudsley Method). Her other clinical areas of focus include obsessive compulsive disorder, family therapy, and group psychotherapy. Dr. Schwerin completed her Child & Adolescent Psychiatry fellowship in 2009 at UCSF, where she also completed her General Adult Psychiatry training. Dr. Schwerin enjoys teaching medical students, residents, and child fellows, and was awarded the 2018 Teaching Award for volunteer clinical faculty in Child & Adolescent Psychiatry at UC Davis. She is a member of the Family Committee of the American Academy of Child and Adolescent Psychiatry (AACAP). Dr Sciolla is an Associate Professor of Clinical Psychiatry at the University of California, Davis. He is an attending psychiatrist at the Behavioral Health Center of the Department of Psychiatry and Behavioral Sciences and Co-Instructor of Record for the Doctoring 2 course at the school of medicine. He is cofounder of the RESTART Program (Resilience, Education and Supportive Tools for Adults Recovering from Trauma) at UC Davis. Dr Sciolla is a board-certified psychiatrist who graduated from the University of Chile School of Medicine and completed his psychiatry residency training at UC San Diego. Dr Sciolla’s interest focuses on the effects of exposure to social disadvantage and interpersonal adversities during childhood on physical and mental health. In this area, he has conducted research and developed innovative educational modules for undergraduate and graduate medical trainees. This interest stems from providing comprehensive psychiatric services to ethnic and sexual minorities, including refugees and immigrants, for over 15 years. Suzanne Shimoyama is a Child and Adolescent Psychiatry Fellow at UC Davis Medical Center, where she also completed her General Psychiatry Residency. Originally from Northridge, California, Suzanne completed medical school at the Keck School of Medicine at the University of Southern California. Prior to pursuing a career in medicine, Suzanne worked for nearly a decade in television and film including writing for a popular children’s television show. She holds a bachelor’s degree in Ethnic Studies from the University of California at Berkeley. Suzanne’s professional interests include treatment of trauma in children and adolescents, developmental disabilities, the intersection of psychiatry and the media, and cultural psychiatry. She enjoys spending time in the outdoors with her husband and daughter and playing the ukulele. rest, play and rejuvenate. You make memories that you never forget. Hotel Reservations are Now Available. Our block rate is limited, so please make your reservations ASAP. 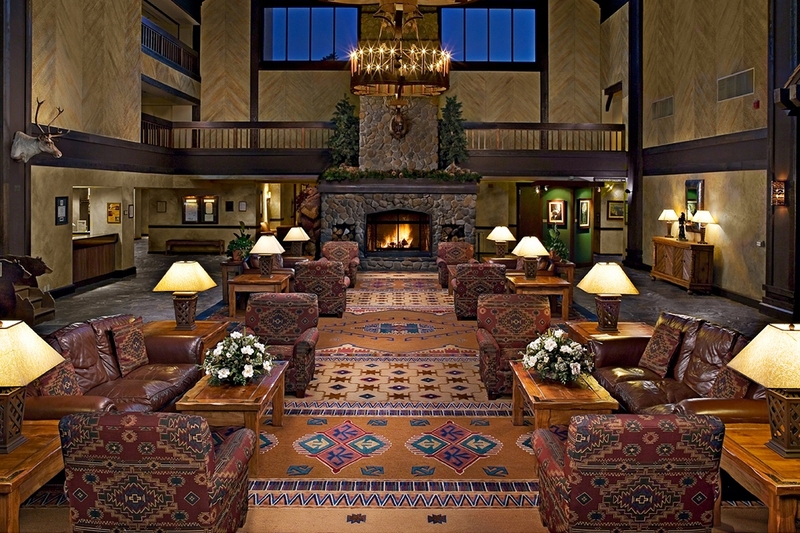 Enjoy your time in beautiful Tenaya Lodge. There’s a lot to explore! Yosemite Hiking – Yosemite National Park and the Southern Sierra region are laced with hundreds of miles of hiking trails, ranging from easy ambles to ambitious treks. Depending on the trail and destination, sneakers may work as well as laced-up hiking boots. Explore independently, or hire a pro hiking guide for a personalized experience. Tenaya Lodge also offers guided group hikes that take you to hidden Sierra waterfalls, giant sequoia groves, and even into the forest by flashlight at night! Guided Waterfall Nature Hike – This guided experience traverses 5.5 miles of stunning hiking trails in the Sierra National Forest. Your final destination is a small, infrequently visited waterfall. You'll follow trails and Forest Service roads until you reach a path along the creek built to feed the flume from the logging days, that once carried logs all the way down to the mills in Madera. Now it's a quiet forest walk along a tranquil stream in the Sierra National forest near Yosemite. Mountain Biking In the Sierra National Forest – Crisp mountain air, easy trails and scenic tours make Tenaya Lodge bike riding a great pastime for all ages. Guests can experience miles of mountain biking trails through majestic Sierra National Forest on the border of Yosemite National Park. You can take a short easy ride down Jackson Road or take longer rides through the Nelder Grove of Giant Sequoias or up to a historic fire tower at Signal Peak. Rock Climbing – Ready to climb a rock? Yosemite offers some of the finest opportunities in the world for climbers of all levels, from first steps on Tenaya Lodge's 18-foot wall all the way to ascents of the massive El Capitan. Since the first ascent in 1958, The Nose route on El Cap stands as probably the most famous climb in the world — over 3,000 feet, almost a full kilometer, of technical climbing that is still considered a feather in the cap of even experienced climbers. Horseback Riding – Yosemite Trails Pack Station offers rides for beginners and advanced riders through some of the most beautiful riding terrain around. Ride through tall pines, along western wagon trails, on the banks of Big Creek, or among giant sequoias. All rides have stream crossings and varied terrain. Just a mile from Tenaya Lodge, horseback trail rides are available daily through the summer and fall (weather permitting). Weight and age limits apply. Guided Nature Hike – Walk with a Tenaya guide through the Sierra National Forest. Learn about the plants and animals of the area and open your senses to nature. Your guide will take you through about 1.5 miles of forest trails, leaving directly from the hotel — no need for a car! This is a relatively easy walk accessible to a wide range of walkers. This is a great way to learn about the plants and animals in and near Yosemite. If you would like to know about some of the adventuring activity to do around Yosemite; please visit https://www.tenayalodge.com/things-to-do.